If you are cited with speeding, don't plead guilty if you haven't talked to a skilled speeding ticket defense lawyer in Pittsburgh, PA. A guilty plea or guilty verdict for a speeding ticket can cause a wide array of penalties, including points, license suspensions, requirements to attend PennDOT departmental hearings, and hefty fines. WHAT ARE THE PENALTIES FOR SPEEDING IN PA? Work Zone: If traveling 11+ mph over the speed limit, there is a 15-day suspension. 31+MPH Over: Departmental hearing and additional sanctions, to include suspension, driver improvement school, and/or road examination. Most speeding tickets issued in Pittsburgh and Western Pennsylvania are points based offenses, as police officers are unlikely to write tickets for traveling 5 miles over the posted speed limit. Likewise, nearly all of us travel above the posted speed limit on a daily basis. All it takes is two speeding tickets for traveling 15mph over the limit in a single year to face sanctions from PennDOT, along with increases in insurance rates. When fighting a speeding ticket, you must remember that the officer who cited you is a trained, professional witness with many hours of experience testifying in courtrooms. Without a firm understanding of the rules of evidence, the types of devices used to track your speed, and the regulations regarding radar and electronic speed device calibrations, you are at a distinct disadvantage in traffic court. 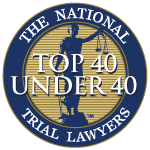 The presence and preparation of a skilled Pittsburgh speeding ticket lawyer can go a long way to minimize the consequences of a speeding ticket. The Zuckerman Law Firm defends those accused of speeding in Pittsburgh and Western Pennsylvania. Call the Zuckerman Law Firm today at 412-447-5580.